President Santos has championed a change in strategy in the ‘War on Drugs’, yet he continues to allow glyphosate fumigations in parts of Colombia. Since he came to power in 2010, Colombia’s President Santos has been a strong supporter of a change in the international strategy against drugs. Up till now the strategy has been the so-called ‘War on Drugs’ that was initiated by the United States throughout Latin America in the early 1970s. Taking advantage of the debate surrounding the use of marijuana in the US, Santos was the first serving Latin-American president to call for an international dialogue on how to re-orient the global strategy against drugs away from the criminalisation of farmers, users, and small dealers. In a famous speech in December 2012, he said that if his son were to become a drug addict, the last place he would want him to end up would be in prison. For him, drugs are a public health issue that needs to be addressed systemically: at home, regionally and internationally. Santos’ questioning of the War on Drugs was soon followed by other leaders in the region, who also expressed the urgent need for a change of strategy. Santos has also been committed to building sustainable peace in Colombia. Negotiations with the country’s largest guerrilla force, the Revolutionary Armed Forces of Colombia (FARC), were initiated in 2012, and the potential for negotiations are currently being explored with the Army of National Liberation (ELN). This willingness to negotiate marks a clear break from the Presidency of ultra-conservative Alvaro Uribe, who was the strongest supporter of US policies in the region, as well as the arch-enemy of the FARC. Many were favourably surprised by Santos’ reopening of the peace process, since Santos was originally believed to be one of Uribe’s biggest supporters as his Defence Minister. One can say that there are two Colombias within one territory: first, there is the Colombia of the big urban centres such as Cali, Medellin and Bogota. There, the armed conflict is hardly present: it has been steadily replaced by rising urban violence issues. In those important cities, President Santos’ policies have been met with enthusiasm. In the other Colombia, the rural and disenfranchised one, the reality could not be more different. In fact, some are asking if there has even been a change of government since Uribe, because their reality has not changed on the ground. In the village of Policarpa, in the Nariño province bordering Ecuador, the population says it is living in a time capsule of the Uribe years. There, the golden years of the infamous Plan Colombia are still in effect. Originated in 2000 by the Clinton administration, Plan Colombia was supposed to eradicate the coca plantations using a powerful herbicide agent supplied by US company Monsanto: glyphosate. As soon as the campaign started, then president Pastrana transformed it into a counterinsurgency campaign that climaxed during the Uribe years, displacing thousands of farmers and killing hundreds. Last September, after a five-year interruption, the fumigations of glyphosate started again. 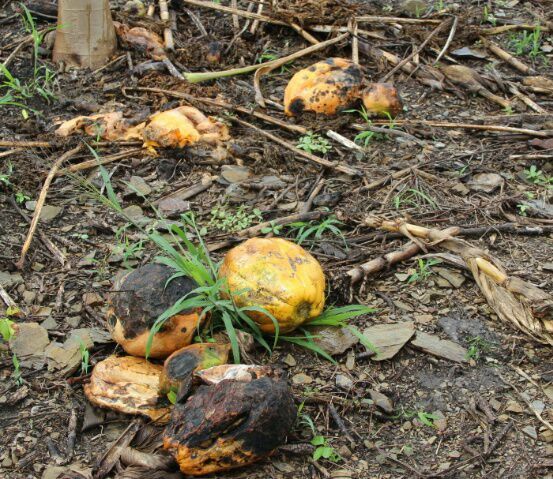 Colombia is now the only country in the world where fumigations against illicit crops are still taking place. In October, the farmers of Policarpa decided to organise themselves against what they refer to as government persecution, which often has nothing to do with illicit coca plantations. 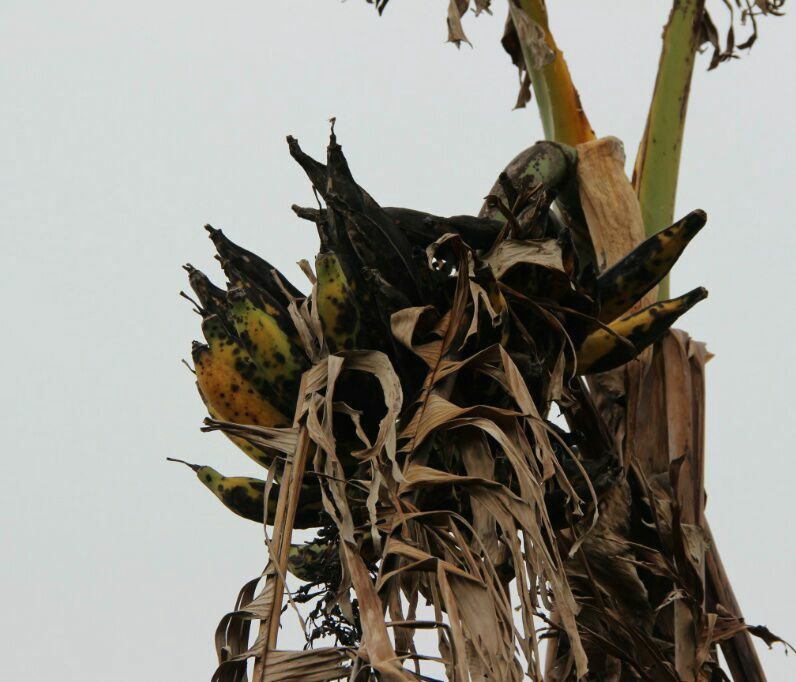 Eusebio Ramirez Caicedo calls it a crime against nature and people. On October 18th, the police came to his farm armed to the teeth, shot at people with real bullets, forcing them to flee. He stayed nonetheless and was fumigated soon after, with his crops of sweetcorn and beans. Displaying white scars over his face and arms, he explains that he has since had difficulty breathing and eyesight problems. The fumigation was carried out by US-based company Dyncorps, infamous for its staff’s involvement in human trafficking in Bosnia-Herzegovina, and its supplying of child dancers to officials in Afghanistan. The chemical agent that was used against Eusebio’s farm, glyphosate, is renowned for the detrimental effects it has on public health. Studies have demonstrated that glyphosate alters the process through which cellular division occurs, causing cancer and congenital malformations among the populations it touches. The occurrence of congenital malformations since the last fumigations five years ago have dramatically increased in and around Policarpa. Children are born without functioning legs, without brains, with cardiac malformations, crystal bones, or without limbs. Adults are suffering from cancer, and respiratory diseases. They know that the effects of the current fumigations will be felt for years to come. Just over a month ago, eighty-year-old Maria Eugenia Acevedo Aguilar was fumigated with all her family. After they all ran in different directions, she lost them. Since then, she has been searching for them throughout the region. She lost sight in one of her eyes and has difficulty breathing, she feels completely lost and does not understand what her bean plantations had to do with Plan Colombia. She is now homeless and lives in the streets of Policarpa. Plan Colombia has been controversial for this very reason: by combining fumigations with counterinsurgency it leads to the victimisation of the population through death, injury or displacement. In fact, legal scholars and practitioners are increasingly arguing that it violates International Humanitarian Law, potentially making Colombia liable before the International Criminal Court. It is true that illicit coca plantations are also being fumigated, yet the effects it has on local populations could be averted if the eradications were carried out by hand. This particular point was negotiated with the FARC at the peace talks in Havana, and announced as being resolved on May 16th 2014. Since this particular point has been ‘resolved’, why did the fumigations resume in September? On the day when the local farmers decided to organize themselves last month, the local mayor was nowhere to be seen. He had even invited the population to attend another meeting, where they would allegedly be able to register for compensation as victims of the armed conflict, something they had been waiting for since the Law of Victims came into effect in 2012. Despite this political move, more than 650 farmers attended the meeting, looking for answers from both the local and the national government. What they want is to get out of the Uribe-years time capsule. They want the fumigations to stop as soon as possible, the eradication of coca to be by hand, and, when it applies, to be offered alternatives to the cultivation of coca. It is time for Plan Colombia to stop victimising local people, and for President Santos to treat the plight of alleged coca farmers as a public health issue. The people of Policarpa should be granted the same rights as Santos wants for his son. Dr. Victoria Fontan is Professor of Peace and Conflict Studies at the Pontificia Javeriana Universidad Cali, Colombia; and Director of the MA Program in Human Rights and the Culture of Peace. She is also currently a PhD researcher in the Department of War Studies, King’s College London.